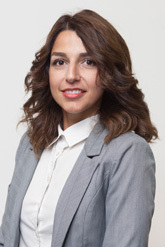 The newest member to our team, Funda is our multi-lingual Property Manager speaking French, Turkish and English. Funda holds a Diploma in Business and Management and is an MBA graduate in International Business. Although Funda has only been with the team a short while, Funda is a progressive thinker who has brought many new ideas and concepts to help our business grow in the right direction. She has displayed the traits and characteristics of a true team player through exceptional customer service and started to build positive relationships with our Clients and her growing Property Management portfolio. We are excited to support Funda prosper within the Property Industry and she will be a great asset to the Oxford Property Group Family.